This on road section was a lot busier than the other ride we did – my mom does not like to cycle on the road, but once again she confronted her fears and off we went. We could smell all the flowers before we could see them – and when we got there we parked our bikes and started wandering around. I read that this area used to be a tobacco field and the owners decided to grow a wildflower patch instead. 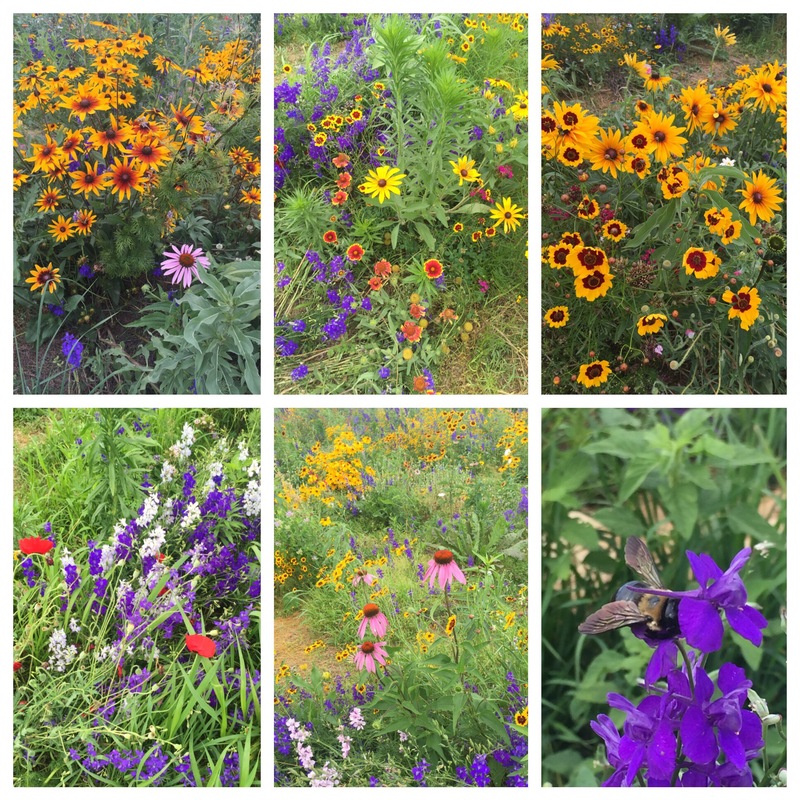 From what I have read they planted the wildflowers to attract bees to the hives on the property – but they have also been attracting people who are welcome to stop by and meander down the paths. There were plenty of people who were there when we were – kids skipping down the paths, butterflies and chunky bees all enjoying the beauty. How can something so simple make everyone so happy? We wandered around for quite some time until we hopped on our bikes and headed back to the car. I am so happy we decided to do this quick trip – well maybe I should say “quick” because although the bike ride was only 2 miles RT – we stayed at the flower patch for quite some time – which is probably why my bike group doesn’t stop for pictures – LOL! If you would like to stop by this awesome garden it is on the corner of East Oregon and Kissel Hill roads in Lititz, PA.
Love wildflowers!! They are so vibrant and happy! This place looks awesome. I am glad you went on your own for pictures. Something I would do. 😄 Thanks for sharing! I am so happy to hear that you took time to stop and be in the moment. And that is wonderful that your mom went with you. aww thank you so much for reading and the lovely comment!! 🙂 It was such a great ride!